QueryAssist for MongoDB offers smart code completion (IntelliSense) and on-the-fly error highlighting for document fields and shell methods, matching bracket highlighting, EcmaScript 6 support and more. 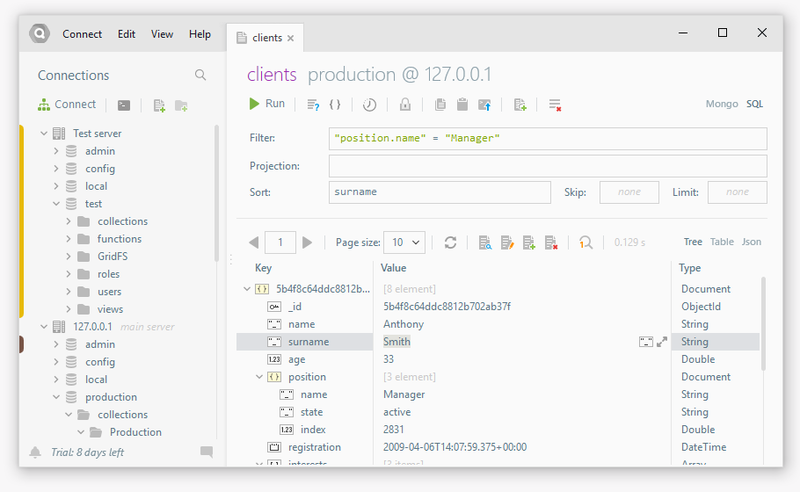 Organize your connections, databases and collections with folders, color marks, set comments for any database objects. Have some important data you are afraid to lose? Set connections, databases or any database object to read-only mode. You can change any documents in collection with simple double-click in tree or table view modes. Change types, names, values, simple as that. This update includes several important and over 40 minor bug fixes and improvements. QueryAssist for MongoDB now fully supports bi-directional text. Fixed an issue with running application on High Sierra. 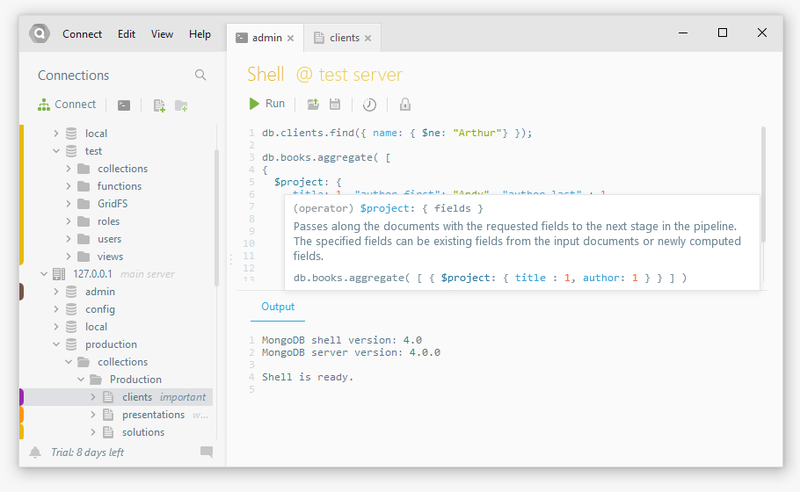 Fixed an issue with shell sessions in MongoDB below v3.6. Fixed various issues with Table view mode.